Turkish rabbi; probably lived in the second half of the eighteenth century. He was the author of "Maẓa Ḥayyim," homilies and comments on the Pentateuch. 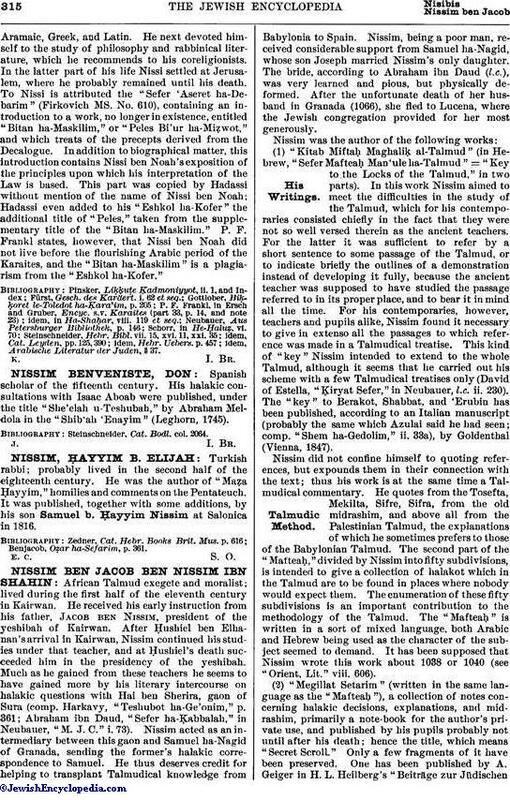 It was published, together with some additions, by his son Samuel b. Ḥayyim Nissim at Salonica in 1816. Benjacob, Oẓar ha-Sefarim, p. 361.